From the moment The Drums release their EP Summertime! in 2010 the band is considered one of the hippest things coming out of Brooklyn. Their début album a few months later only added to that although there was also some criticism. The hype may be exaggerated and their live performances got mixed reviews. Maybe it wasn't all that great. 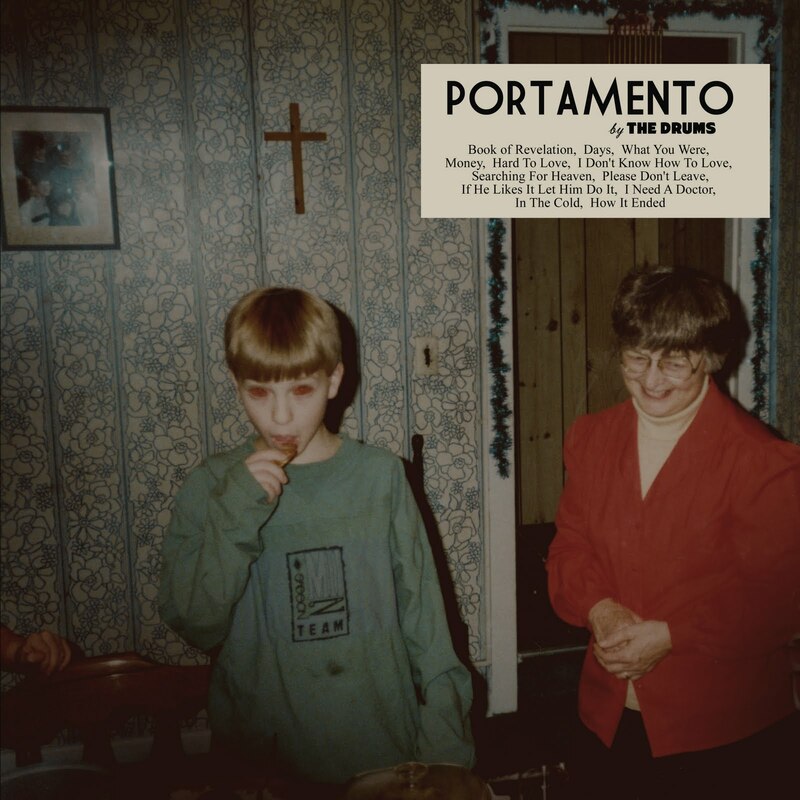 Their second full length album Portamento has to prove that they are still a band that matters in 2011. They first made a few changes to the band though. After guitar player Adam Kessler quit, drummer Connor Hanwick took on the guitar. Guitarist Jacob Graham switched to keys and they hired a new drummer and guitarist. It didn't change a lot to their sound. First single 'Money' showed that the catchy songs of the first album weren't a coincidence. The song has the same playful guitar riffs and the characteristic voice of Johnny Pierce. And Portamento is full of it. The seemingly simple songs are good compositions. The band sounds more relaxed than on their debut and it all sounds like it didn't any effort. The vocals are right on the spot as well, although they are simple lyrics about things that young people in their twenties are involved with. He does push it a lot which can make it a bit whining now and then. There are nice harmonies and his falsetto is used sparingly. But in a song like 'Searching For Heaven' he's overdoing it. This song isn't good and the singing is more like moaning. This is the only time where the band goes wrong though. They make up for it with plenty of nice songs like 'Days' and 'I Don't Know How To Love' which have good hooks and make you hum along within no time. The Drums are proving that they are more than a temporary hype. Last month they alreay played a convincing showcase in Paradiso that showed they have grown live too. The band have adopted to their sound even more and when they continue down this road we can expect more from them in the future.